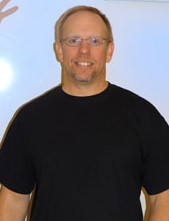 Coach Matt has been involved in Track & Field as an athlete since 1979 as an athlete and as a coach since 1986. Matt is a USATF Level 1 & 2 Certified Coach, he is also a Certified USATF Official. As an athlete, he was ranked eigth in the nation in the javelin as a college athlete and currently ranked in the top ten Nationally in all five throwing events, including the throwers pentathlon as a Masters athlete. Matt has also successfully competed in many other events such as pole vault, high jump, as well as the decathlon. Matt has coached athletes at all levels from youth, five HS State Champions, Junior college state and national qualifiers and champions, Division I, II, and III college national qualifiers and champions. He has alsocoached seven athletes competing in the Olympic Trials, with two making their Olympic teams. Coach Krich takes great pride in coaching young athletes who have little or no experience and developing them into champions. His primary focus is teaching/training proper technique with an emphasis on having fun. Matt strongly believes in developing the complete athlete, physical, mental, technical, all to develop a highly competitive athlete. He encourages all athletes to set their goal high and push past them, and think towards their futures at the next level. Mike Caton has 17 years of Track Coaching and experience. Mike is a USA Track & Field Level II Certified Coach for sprints, hurdles, and relays. Coached numerous high school state champions and finalists. Coach Spook coaches at Palmer Ridge HS but also coaches other HS PV from around the district. He also runs a Winter PV program called "Above the Bar" He is a Certified USATF Official, he and his crew help run the PV event at many meets throughout the year. He has coached many state qualifiers and champions.